Fox Factory, Inc. (FOX) has committed to a long-term sponsorship extension and advancement with Michelin Raceway Road Atlanta, which will further the partnership forged in 2017 and continue Fox Factory’s entitlement of the FOX Factory 120. It will also retain the existing prominent track signage and branding, among other annual activations. Fox Factory, Inc., a leader in performance defining suspension products, has signed on to extend the existing partnership with Michelin Raceway for many years to come in an effort to strengthen roots at the northeast Georgia race track. Since 2017, FOX has served as the entitlement sponsor of the FOX Factory 120, a 120-minute sprint race and the season finale for the IMSA Michelin Pilot Challenge as part of the Motul Petit Le Mans weekend. The new agreement maintains that entitlement. FOX will also continue to serve as the naming rights entitlement partner of the off-road trails on the western edge of Michelin Raceway’s 750-acre property, known as the FOX Race Face XC Course and the FOX Off-Road Proving Grounds. FOX Factory will also activate at Michelin Raceway’s largest annual event, Motul Petit Le Mans, with a substantial vendor display and an expansive hospitality suite in the all-new Michelin Tower. “We had a great event at the 2018 Motul Petit Le Mans and the FOX Factory 120 and look forward to building on that success in years to come,” said Mike Dennison, president of the Fox Factory Powered Vehicle Group. New for 2019, FOX also will take over the former Building D on Michelin Raceway’s property, with plans to renovate it over the next few months. This long-term lease will serve as the new Research and Design headquarters for a portion of FOX’s development initiatives and will house a full laboratory and testing equipment. The 12,000-square-foot building is located just to the right of the main entrance gate, which provides easy access to both off-road courses directly behind the building for FOX Factory’s use to test new technologies. “Having Road Atlanta so close to our corporate headquarters allows for a great proving ground for our portfolio of products while offering a sales and marketing platform to share with customer, athletes and performance partners,” said Tony Pauly, Fox’s vice president of marketing, Powered Vehicles Group. The FOX Factory 120 takes place on Friday, October 11 as part of the 22nd Annual Motul Petit Le Mans championship weekend. 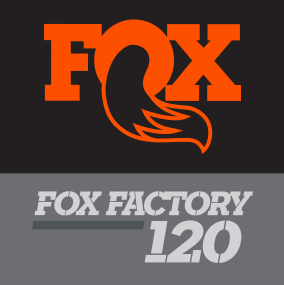 Fox Factory Holding Corp. designs and manufactures performance-defining products primarily for bicycles, on-road and off-road vehicles and trucks, side-by-side vehicles, all-terrain vehicles, snowmobiles, specialty vehicles and applications, and motorcycles. The Company is a direct supplier to leading power vehicle original equipment manufacturers ("OEMs"). Additionally, the Company supplies top bicycle OEMs and their contract manufacturers and provides aftermarket products to retailers and distributors. Michelin Raceway Road Atlanta opened in 1970 and is recognized as one of the finest road racing circuits in North America. Located less than an hour north of downtown Atlanta, the track hosts several major events during the year including the world-famous Motul Petit Le Mans, Drift Atlanta, The HSR Mitty vintage classic, MotoAmerica superbike event and numerous club and corporate events.